Discussion in 'Google TV News' started by 4Nines, Oct 5, 2010. ABC's Nightline is about the last place that we thought news would break about Google TV first, but it does make sense, and I guess TV is the best place to promote Google TV! 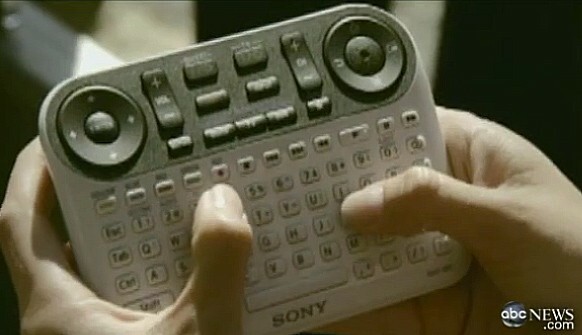 In the special that featured G-TV, they also released a bit about Sony's new Google TV and their very own controller. "Two circular directional pads, a QWERTY keyboard, volume, channel selection, some play / pause buttons... everything you'd need to rock the web and video all at once." Checkout the link below for the direct video or visit Engadget for more on the story. Big and bulky but love the full QWERTY keyboard. I think the G-TV controller app for your Android phone is wicked! I have no doubt that we will see remotes like this. Look were Android started and where it is now. I really think G-TV will grow and adapt the same way.